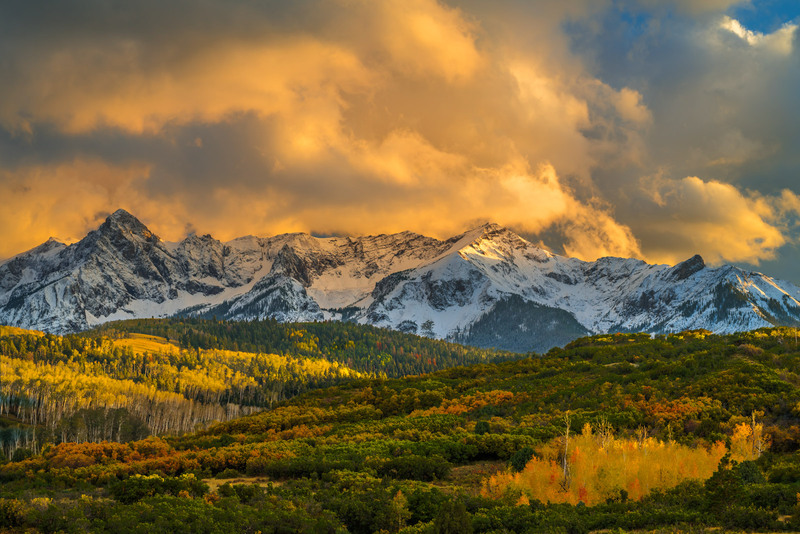 We had just arrived in Ridgway, Colorado and had enough time to try for one sunset image. Unsure of conditions at many of the locations we would be targeting, we headed out to the popular Dallas Divide. We were treated to one of the best sunsets I have ever seen there, partially due to the departing storm clouds. It was the first day of the ten days we would be in Colorado for Fall Color and what a great way to start out!